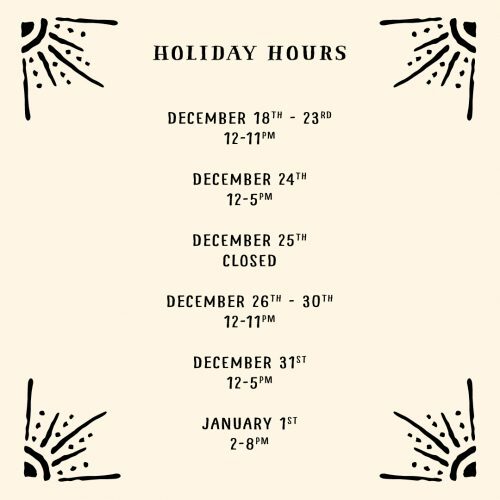 Our holiday hours have taken effect: the tasting room is open 12-11pm this week for all your holiday shopping (and escaping from holiday shopping) needs. Please note we will close early on December 24 for Christmas Eve, and will reopen on December 26 for Boxing Day. We will also be closing early on December 31 and January 1. From all of us at Strange Fellows, we hope you have a great holiday season!